Hardly a day goes by that I don’t pop a hair/nail supplement (along with other beauty boosters). Then I add in a probiotic, a vitamin or two—and before I know it I’m taking a big handful of pills. I’ll never give up my strand-strengtheners, but it would be nice if I could combine multiple benefits in one capsule. As luck would have it, now I can thanks to Nutrafol’s newly expanded range of hair-meets-wellness solutions. 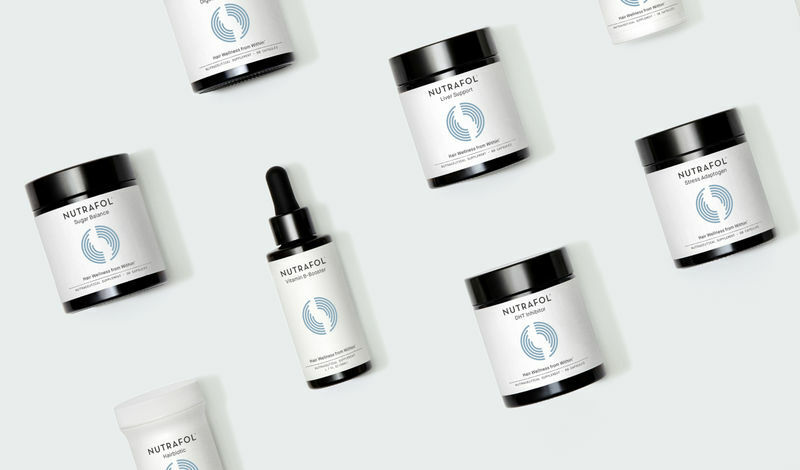 In case you’re not familiar with Nutrafol, this is one of the hair supplements that dermatologists recommend most, which is why I was so excited about the new offerings—and there are a lot of them. Here’s the lowdown on the “core” formulas and the new add-on boosters to help you decide which is best for you and your head-to-toe needs, both inside and out. Core for Women: Essentially the OG Nutrafol, this supplement targets the most common underlying causes of compromised hair growth to promote the production of new healthy, strong, shiny strands. You also get stress adaptogens (since the craziness of everyday life can have an impact on your hair), and you just might sleep better and be able to chill out a little, too. P.S. It’s also available in a dedicated formula for men. Core for Women Plus: Featuring all the benefits of the Core for Women but designed for women who are feeling the effects of menopause, this formula has added Maca to help you deal with hot flashes. Liver Support: Toxins can stand in the way of beautiful, bouncy hair, and this antioxidant-enhanced booster gives your liver function a helping hand. If wine is a must for winding down at the end of the day, this one might be for you. Stress Adaptogen: There’s no doubt that life is stressful—and that it can lead to dull, drab hair. This supplement features Reishi mushroom, Rhodiola rosea and Schisandra nigra to help keep cortisol levels in check. Vitamin B-Booster: If you feel like you could use a little extra energy, odds are your hair follicles do, too. Take two droppers under your tongue once a day and let the blend of B vitamins do their thing. Sugar Balance: Don’t let your sweet tooth stand in the way of luscious locks. This formula helps promote glucose balance—which may translate to less sugar cravings and more energy when you usually experience a mid-afternoon slump (without having to reach for the candy). Digestive Enzyme: Once upon a time, I was able to eat just about anything without getting a bellyache. With 16 enzymes that help break down food and optimize the digestive process, this formula helps keep bloat at bay while maximizing the available amount of protein and nutrients necessary for optimal hair health and growth. Hairbiotic: We all know how important “good” bacteria are for gut and overall health, and this must-have formula also contains hair-friendly probiotics that create a growth-friendly environment. DHT Inhibitor: Hair thinning or loss is often due to elevated levels of DHT, which is a hormonal byproduct of testosterone. This targeted supplement contains a blend of botanicals that help minimize the production of DHT that can disrupt hair-follicle function. I know, all these options can be overwhelming, which is why it’s important to take the time to consider the factors that may be having the biggest impact on your life—and your hair. (Or just take this simple quiz that helps you figure it out.) The beauty of these new Nutrafol supplement options is that they multi-task to give your body even more of the nutrients and help it needs. IBB Tip: One of the biggest challenges for me is remembering to take my supplements daily, which is why I started keeping them next to my desk. This way I know I’ll see them on several occasions throughout the day—and ultimately take them at some point! Mar 29 Would you pay $165 for a leave-in hair treatment?